I’m not sure if I’m allowed to review the latest from the Coen brothers because it hasn’t been released in cinemas in Australia and never will be. 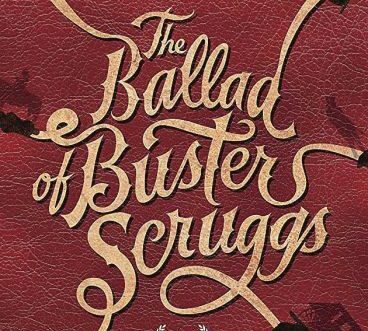 The Ballad of Buster Scruggs was financed by Netflix for Netflix and so represents either the saviour of independent movie-making or the beginning of the end of cinema-going – though of course we’ve heard that before (TV, videos, DVDs, and computer games). Whatever camp you are in, watching a movie on TV is a different experience to watching it in the cinema, no matter how good your TV is, the quality of your sound system or the darkness of your “home cinema” (aka the lounge room after the kids have gone to bed). Certainly the sun streaming through the curtains on a Saturday afternoon was not my usual cinematic experience and didn’t help The Ballad of Buster Scruggs, a series of short classic Westerns (with singing) on a grand landscape scale. But venue and medium aside, I was very disappointed in the film. The attraction of the Coen brothers has always been their embracing of the surreal and their depiction of extreme characters on the edge of society. The Ballad of Buster Scruggs looks the part of the classic Western. However, its characters are mostly clichés (the sharp shooter, the prospector striking it rich, the cowboy with a heart of gold, the grieving damsel and so on), the storylines mostly one-dimensional and the music dire (though that’s a personal thing – I hate country and western). The endings are all tragic, eventually becoming predictable. The least Coen of all the Coen brothers’ films, The Ballad isn’t worthy of the big screen, or even the small one, no matter how big it is.